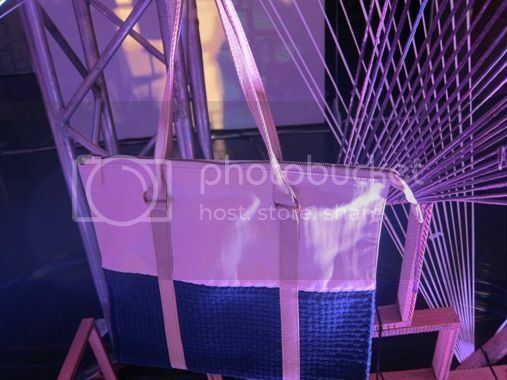 Rags2Riches (R2R), a social enterprise-fashion brand, teams up once again with top designer Rajo Laurel to unveil its colorful summer bag collection called “Athletenique.” Celebrating the philosophy of fitness is fashion, this collection combines athletic and ethnic influences to produce textures and colors ideal for the summer season. 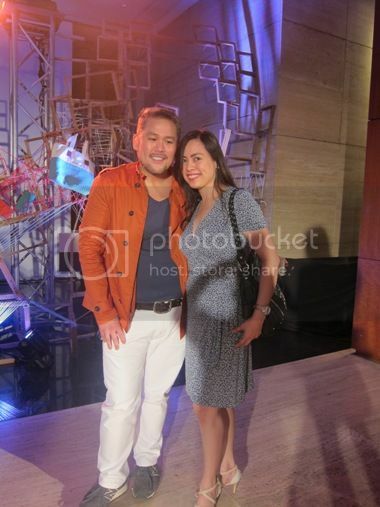 My younger sister and I went to the Ayala Museum in Makati City last Thursday, March 22, 2012 to witness the launch of “Athletenique.” The stage backdrop really caught our attention. 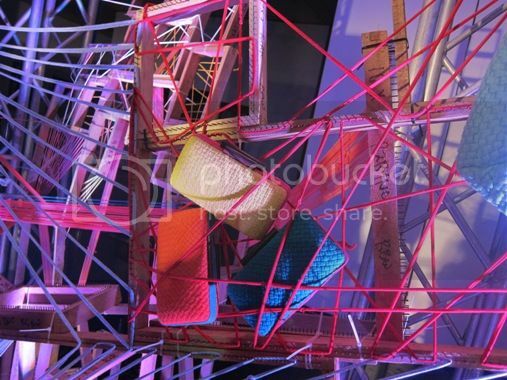 Filipino sculptor Leeroy New created the art installation using wooden frames and scrap fabric. 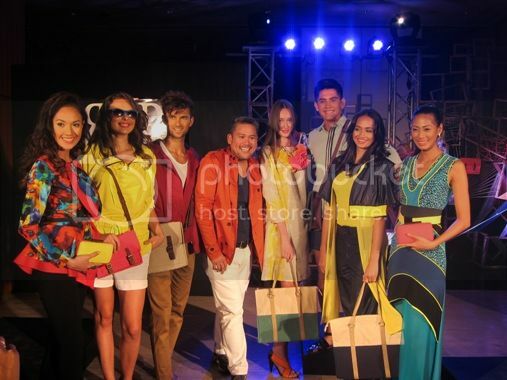 R2R’s Spring/Summer designer pieces by Rajo Laurel shows the enduring craftsmanship of empowered artisans from community-based enterprises across the country who meticulously hand-weaves the fabrics for the entire collection. 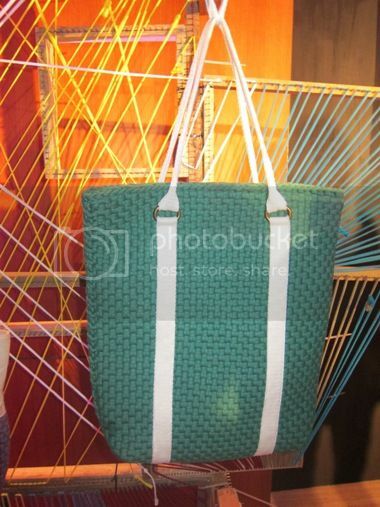 The Pierre Satchel showcases the classic basket weave. 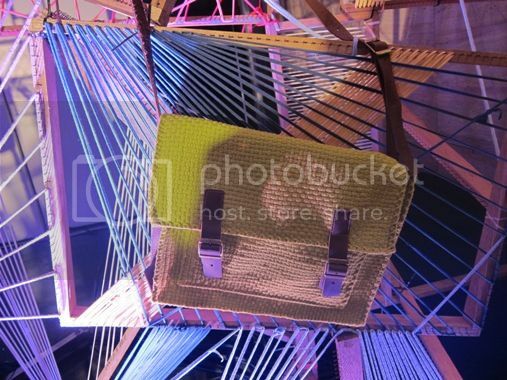 It has front and interior pockets, adjustable leather straps and antique brass accents. The Maia Clutch, with its diagonal pattern and indigenous hand-woven kantarines fabric and kamagong bar accent, is perfect for galas and evening affairs. The elegant Remo Tote and Bali Bucket Tote have cotton wraparound shoulder straps, antique brass accents, cotton lining with interior zip, and wall and cell phone pockets. 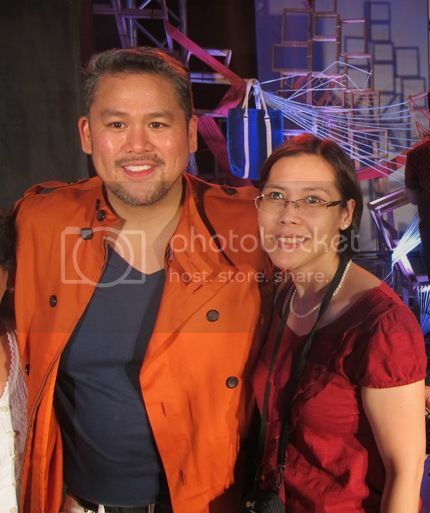 My sister and I enjoyed watching the show, and we had our photo opps with Rajo Laurel, too! 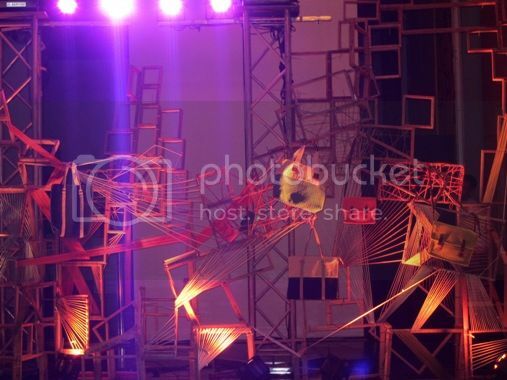 Athletenique was presented by Metrobank Femme Visa in cooperation with Ayala Museum and World Economic Forum Young Global Shapers. 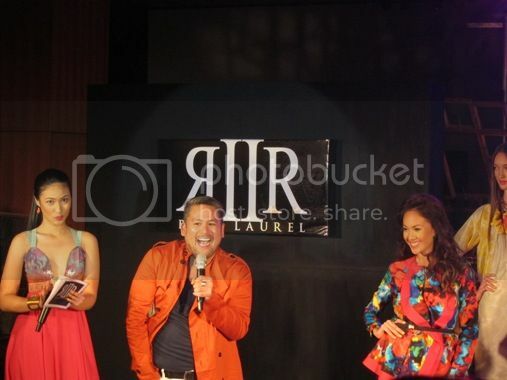 This entry was posted in Athletenique, Rags2Riches, Rajo Laurel. Bookmark the permalink. ← Grendha Ana Hickmann Collection Is Here!